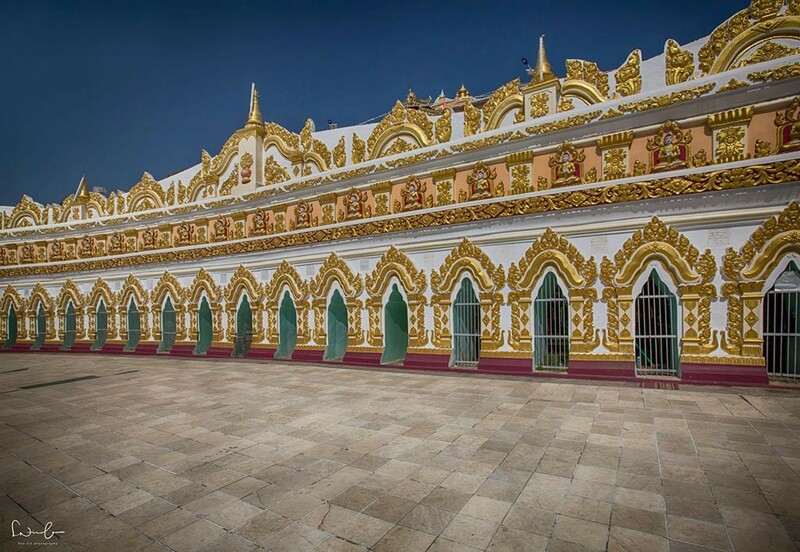 After a short stopover in Yangon, I took the first flight in the morning to Mandalay. Don’t panic when you see the local planes. They’re small, have propellers, are loud but they’re taking you safely to your destination. The domestic airport is tiny, your boarding pass does not say your name or seat number, your baggage tag is handwritten. It’s like you’re back in the 70s probably. 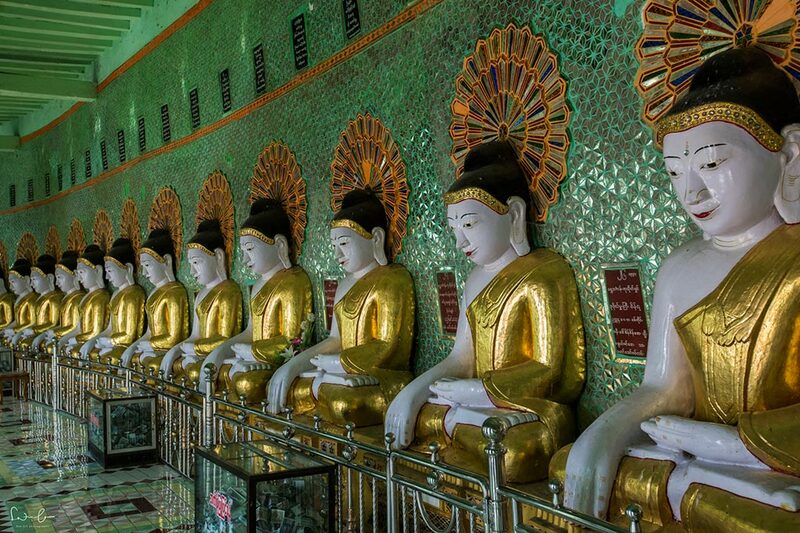 But it works well… These are the things to do in Mandalay. I booked a room in The Link 78, a modern, western style hotel in Mandalay. 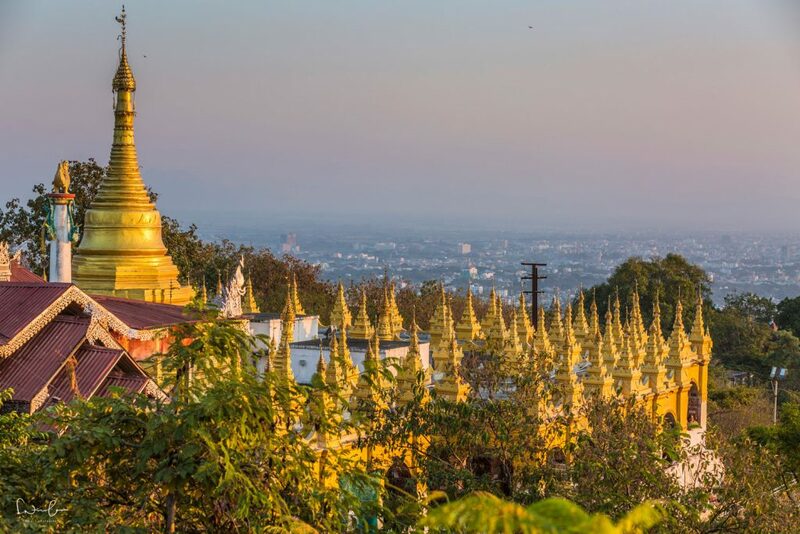 After a quick siesta, I packed my camera bag and headed towards Mandalay Hill. 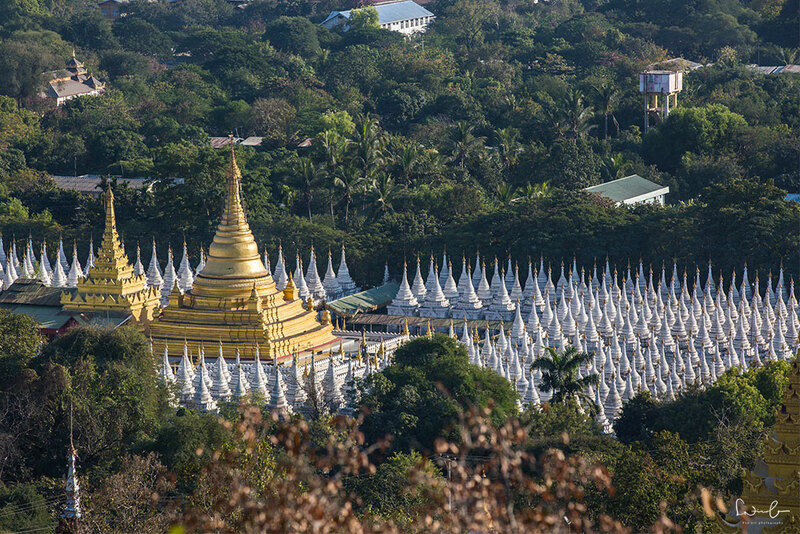 At the bottom of the hill, you will find huge and the most famous Pagodas lined up. Take off your flippies, take out your camera and stroll around. For the next day, I hired a local taxi driver to take me around. He didn’t speak English, but somehow I managed to tell him where I wanted to go. 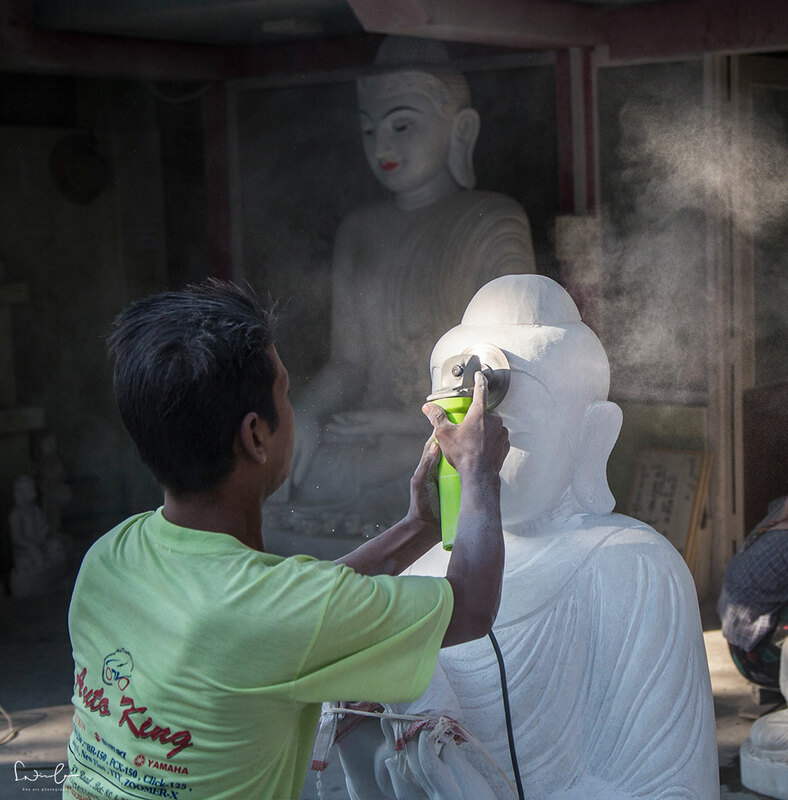 The first stop was the stonecutting district Kyaut Sit Tan in Mandalay. 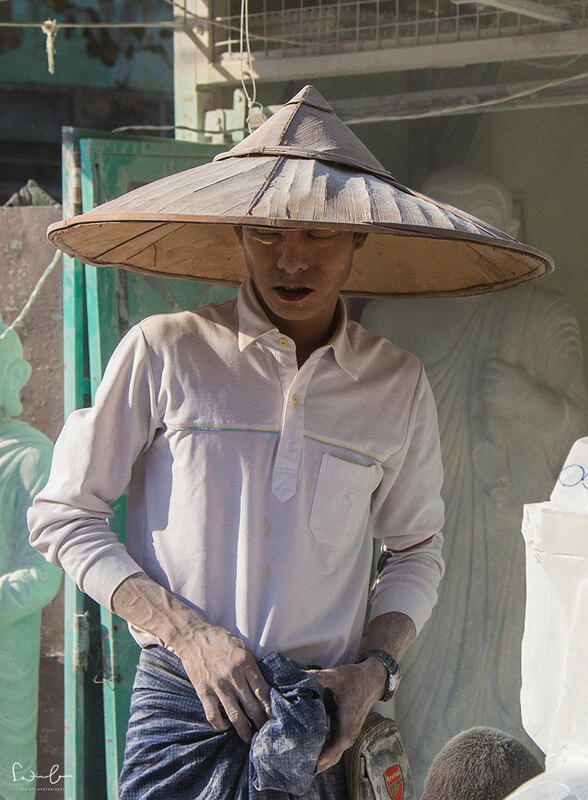 One stone carver is lined up next to the other. Everything on the road is covered in white dust. 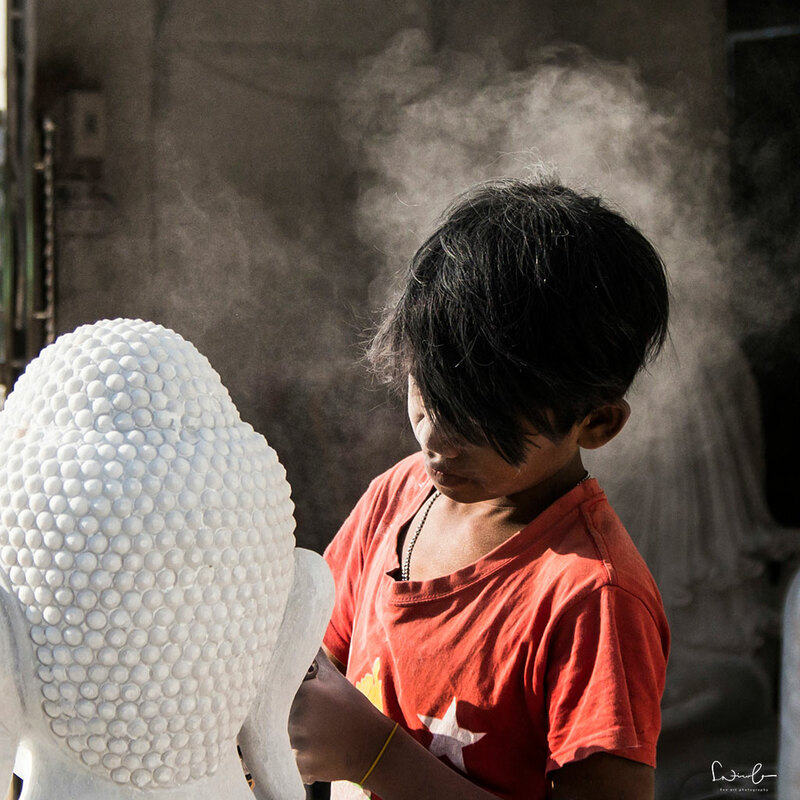 Men, women and even children (I don’t know what to think about that really…) work in the burning heat on their Buddhas. 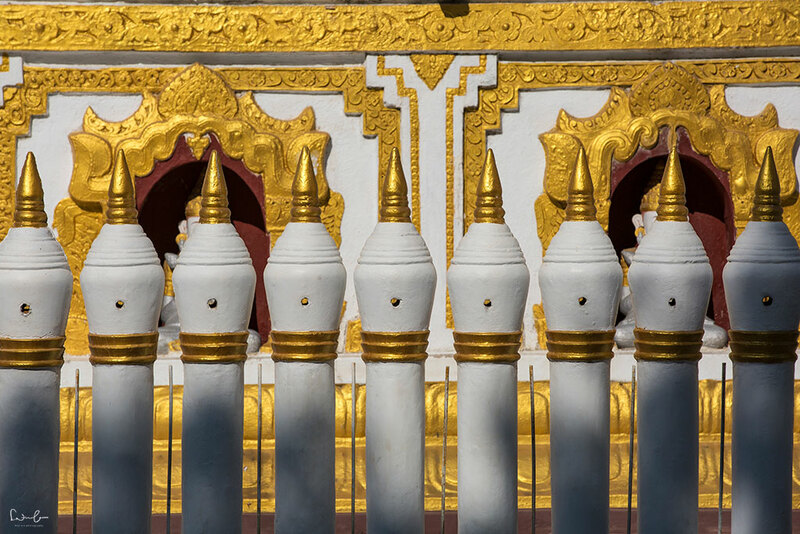 Then the driver brought me to Maha Gandaryon monastery in Mandalay. It was my first visit ever in a monastery. When I arrived there I was embarrassed. 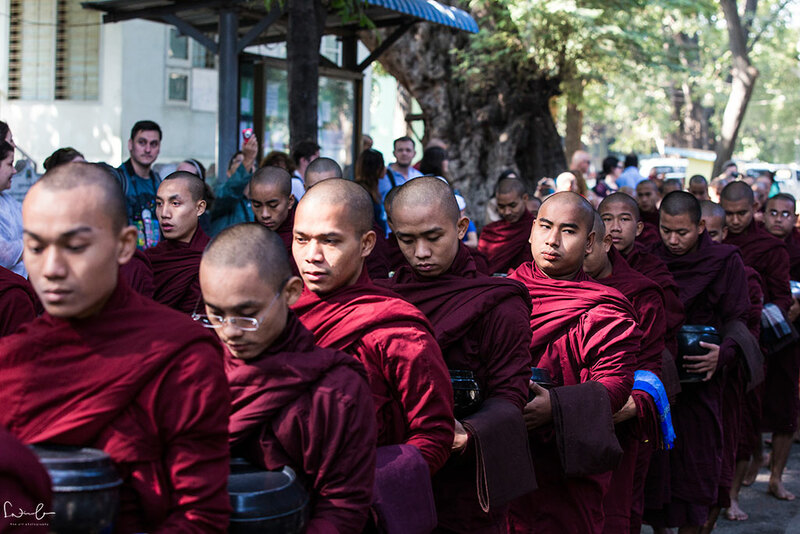 Hundreds of tourists were watching and photographing the monks and novices lining up to get into the dining hall. 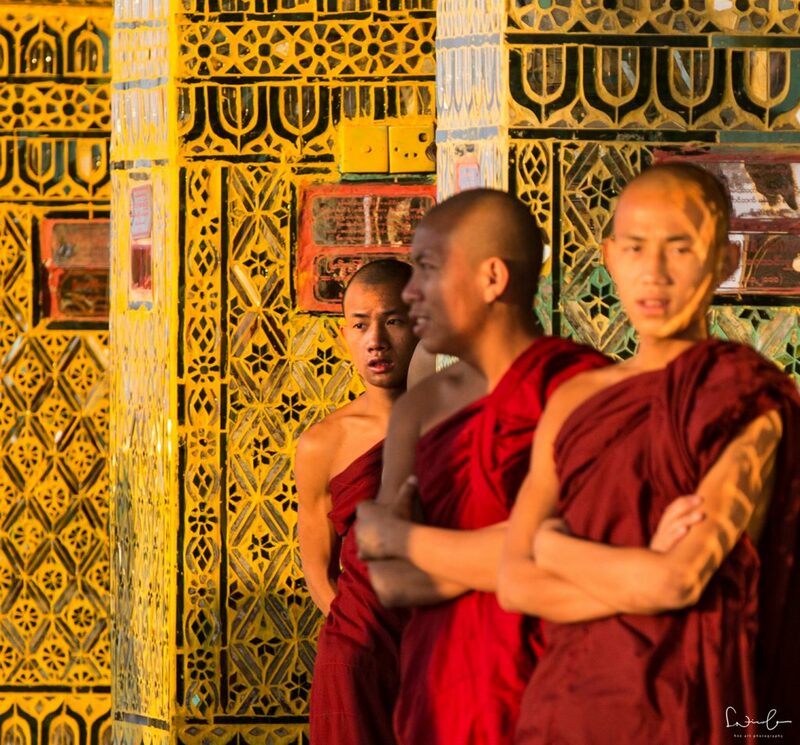 I was ashamed to lift the camera, point it at the monks and press the shutter. I know it is allowed to shoot in a monastery and I talked to monks later during my journey and they all assured me that it is not a big deal for them and they got used it. Still, it seemed really awkward to me. 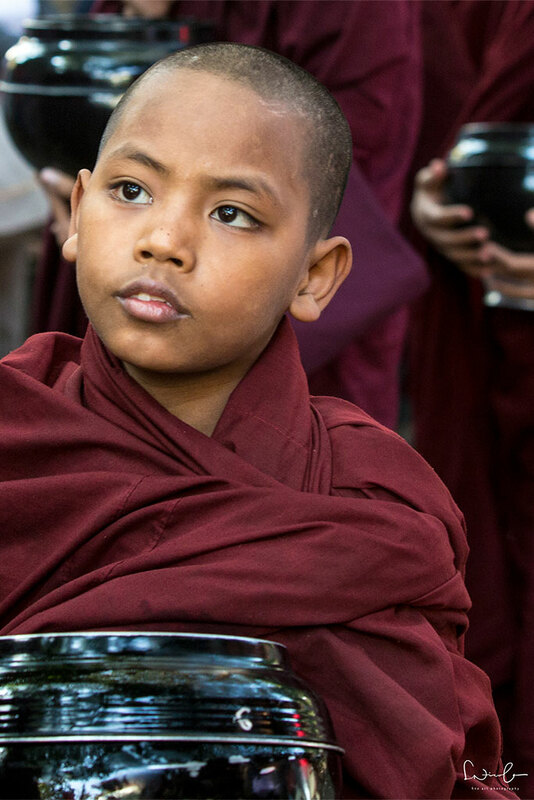 But I have to admit photos of monks and novices are magnetic. They seem to be one of the most photogenic people in the world, don’t you think? 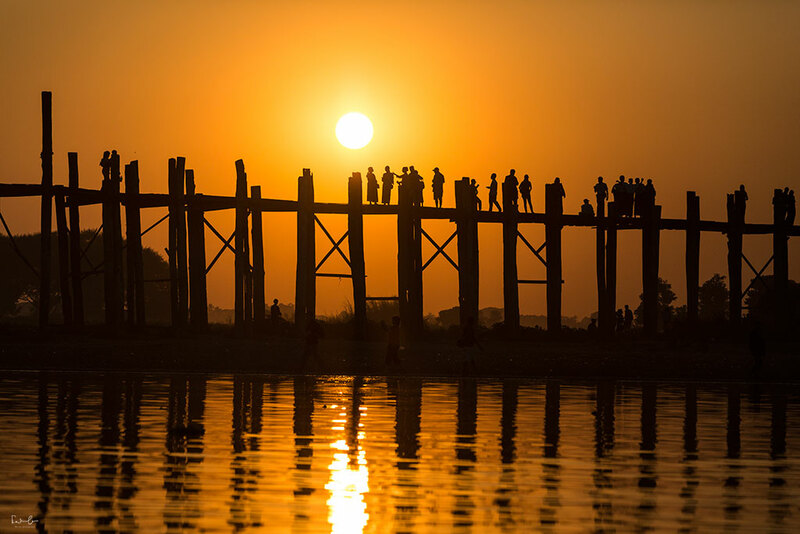 For sunset, I strongly recommend you to head over to U-Bein bridge. 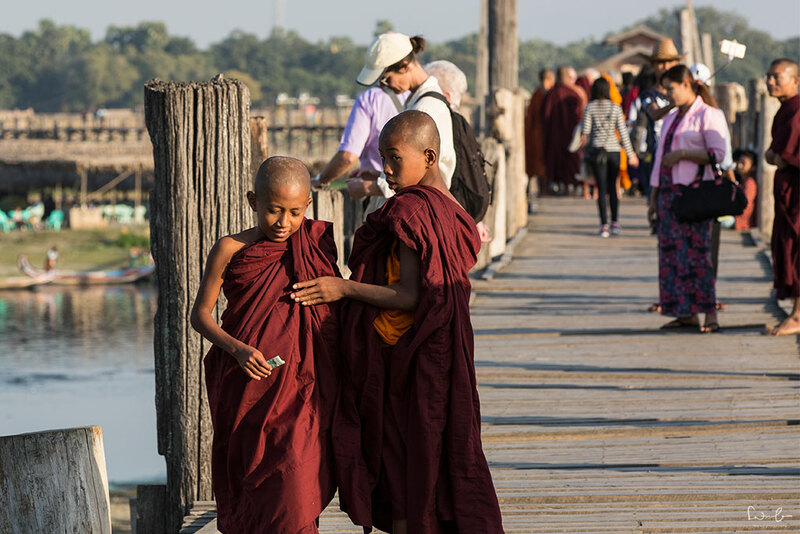 It is the longest teakwood bridge on earth and it is crowded in the morning and evening when the locals cross it and the tourists come to see the spectacular sunrise or sunset. You can hire a boat for very little money and take shots from the boat. This is what I did. You can even hire a picnic boat if you want that. I brought my telelens with me this time, which was a good choice. 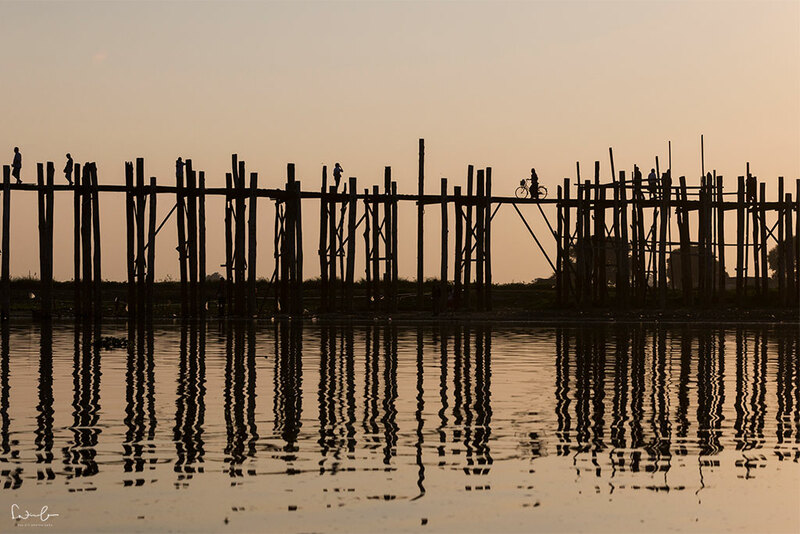 Mandalay has some great spots like the above and you will manage to see them in two days. 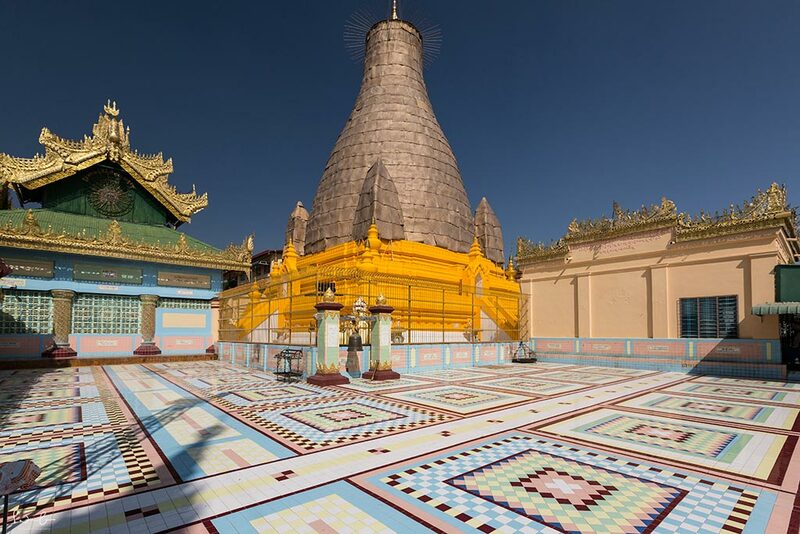 The city itself is not very beautiful apart from Mandalay Hill, so two days is really enough. 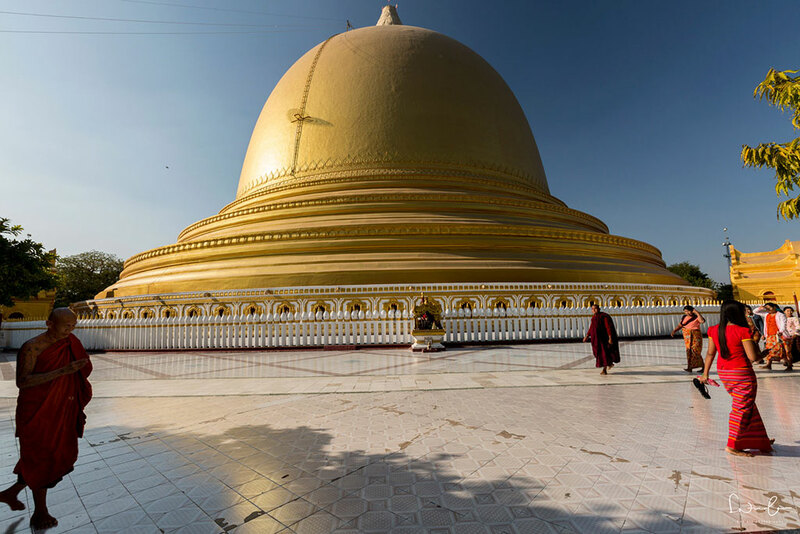 See my next stop Bagan and follow me into this unforgettable landscape. Are you looking for more? 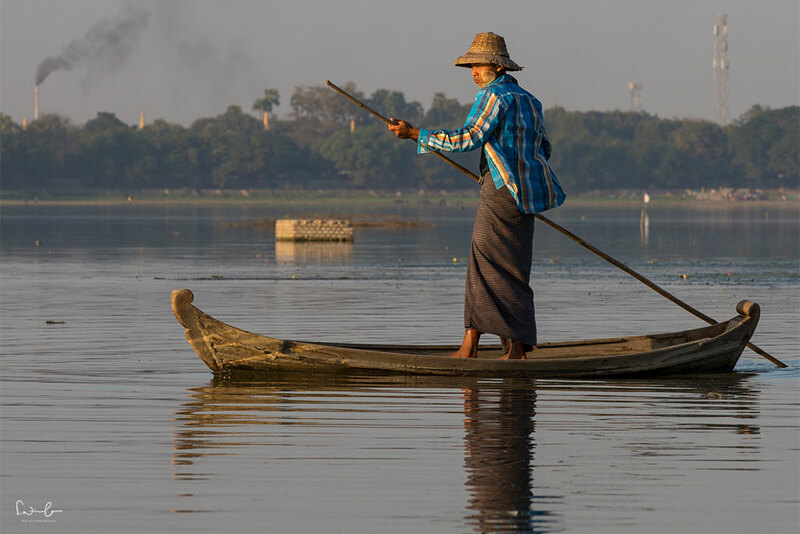 See this Myanmar itinerary for first-timers.